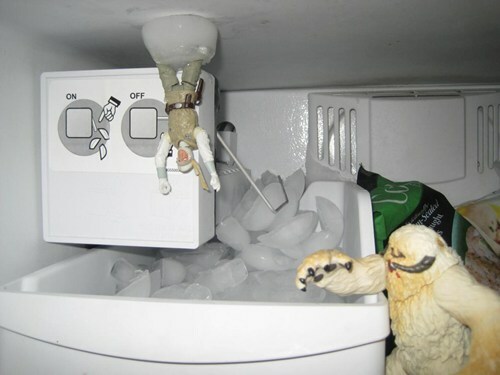 Wampa and frozen Luke upside down in a freezer. Whoever did this, you are awesome. “Whoever!” 🙂 Danger, Will Robinson, grammar overcorrection alert!